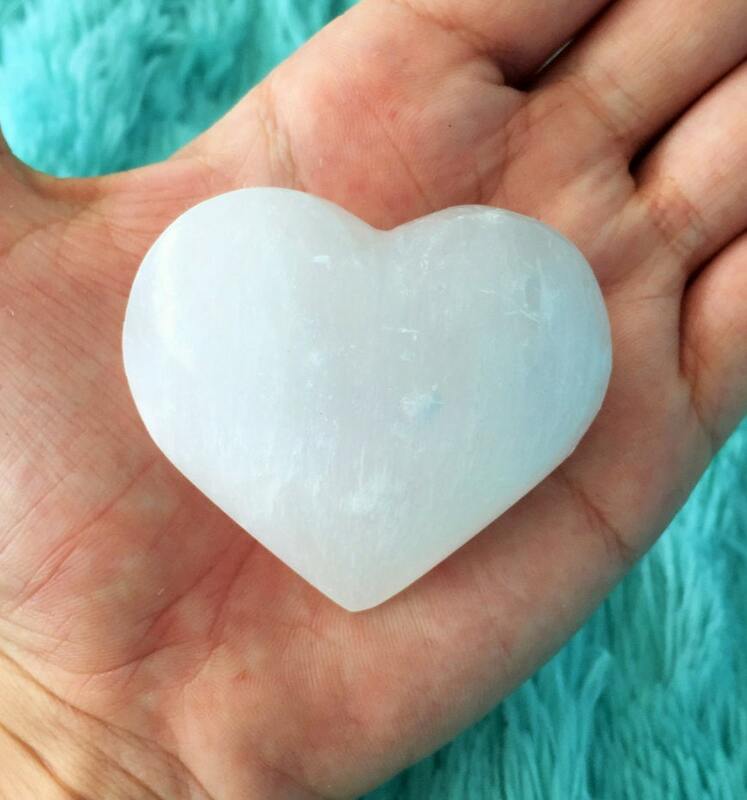 Receive this beautiful selenite heart that has a healing vibration. These crystals release energies of compassion, unconditional love & peace where ever they are placed. I like to use selenite for chakra healing by placing the crystal over my heart center or any chakra that needs healing or balancing. 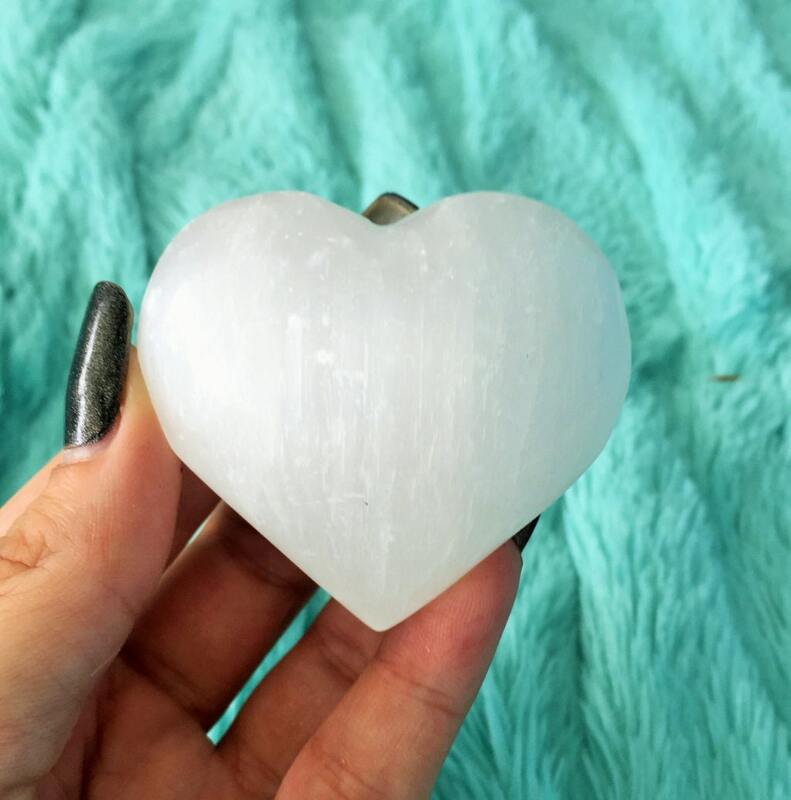 Listing includes 1 Selenite Heart- one similar as seen in images. is a stone of mental clarity, and also a stone of truth and honesty. It is used for contacting and communicating with angels for guidance. It can also be used for finding and working with other spirit guides. Selenite removes energy blocks. It can also remove energy blocks in the bodies of other crystals and stones, and is a powerful intuition and psychic awareness stone, through its influence on the third eye chakra. You can access past lives and do past life work and healing with it. It is also beneficial for psychic efforts, especially clairvoyance. All hearts have been cleansed and charged with Reiki.